Missionary Marriage Issues: I don’t want to go! Dorothy is a prime example of a spouse who did not want to go as a missionary. She told her husband she did not want to go. She told the agency she did not want to go. She told a prospective teammate she did not want to go. She refused to go repeatedly over a four-month period—even when William and their oldest son left for the field without her and the younger children. She finally consented to go after repeated meetings and essentially being threatened by another member of the team. As one might expect, Dorothy did not have a good experience as a missionary and tried to sabotage the work William was doing. She and William obviously did not have a happy marriage and a nurturing home for their children while they served on the mission field. 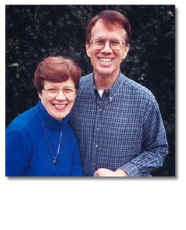 Another missionary couple was present during some of their disagreements, and the visiting husband wrote, “She has uttered the most blasphemous and bitter imprecations against him,…seizing him by the hair of his head, and one time at the breakfast table held up a knife and said, ‘Curse you. I could cut your throat…you rascal…God almighty damn you.’” Before she was confined, she followed William through the streets raving and railing against him. Of course, Dorothy was an extreme case in that she became mentally ill and had to be confined most of the later years of her life. She even tried to kill William a couple of times while serving in India. Could such a situation happen today? Of course, it could (Never say “never.”), but it is much less likely today than it was 200 years ago. Several factors are in place to prevent such a scenario today. Many agencies have developed criteria for screening people with mental problems. Such agencies also would refuse to send someone who did not want to go. Member care departments provide counsel and medication to those who are mentally ill. They also provide marital counseling to couples who have conflict. Many cultures have a very different view of mental illness and people in them would take a dim view of such lengthy confinement. However, even with these safeguards, similar problems do occur, and some are unnecessary tragedies. Though it is unlikely that a spouse would be told that her family would be “dispersed and divided forever” if he or she did not go, more subtle pressures often exist. Knowing that their families and supporting churches have invested time and money in them, spouses who do not want to go may still feel great pressure to do so anyway. Although this can happen in any situation, it is more likely in the following ones. New agencies. As was the case with Dorothy, many new agencies do not have policy manuals that would prohibit such overt pressure on a spouse to go. Agencies emphasizing goals. Although most agencies set some target goals, some take the position that such goals must be met. If their goal is 50 new missionaries during the next year, they accept people who they probably would not take under other circumstances and exert pressure on prospective missionaries to go. Churches. Although some mega-churches may support many missionaries and have member care for their missionaries, other smaller churches sponsor two or three couples overseas without any of the “infrastructure” needed to care for them. Independent missionaries. Some people are so determined to go that they just go on their own, pressuring their spouse to go with them. Though they may have several “supporting churches” who give to their own personal tax-exempt organization, they may have no one to turn to when things go bad. Could it happen later in life? Dorothy had never served as a missionary, and she did not want to become one. We do not know exactly why, but we can surely make some educated guesses when we realize that she had three children, was pregnant, and was about to begin a five-month sea voyage. People today also may not want to go for similar reasons. However, even people who have served as missionaries may not want to return. Those who have served as a married couple may not want to go back after they have children because of living conditions, educational systems, and so forth. Those who have older children may not want to return and leave their children in college in their passport country. Those who have grandchildren may not want to return and leave their grandchildren. Those who have aging parents may want to remain where they can spend time with or care for those parents before the parents die. Could it happen to other family members? Elementary children. Thinking about leaving their friends, changing schools, leaving their pets, leaving their rooms, and so forth, many children do not want to go. If parents handle this right, most children (even those who do not want to go) readily adjust to the new situation—and then do not want to return to their passport countries. Teenagers. Adolescents give similar reasons for not wanting to go, but they are more likely than children to fail to adjust to the new situation. Adolescents have different cognitive capacities and do not hesitate to argue with their parents—more likely to continue agitating after they go. They tend to do something that will strike at their parents’ ministry. For example, boys tend to break the law and get in trouble with the police while girls tend to act out sexually and may become pregnant. What if the person doesn’t say so? Sometimes people do not say they do not want to go, but they use all kinds of passive resistance to hinder going, behaviors commonly called being passive-aggressive. Rather than openly refusing to do something, they just hinder getting the job done. Here are a few of their traits. These people may be aware of what they are doing and do it purposely. However, they may not realize what they are doing or why. Any of us are less excited about participating in something we really do not want to do. The best solution to a difference between husband and wife is for them to talk and pray together, alone and perhaps with a counselor, until they can come to some agreement. However, they may not be able to reach an agreement that is acceptable to both. Then they are left with four options. Both stay. One option is that they serve a mission agency in some capacity in their passport country, with neither of them going to serve in another culture. This enables them to be involved in missions without the stress of cross-cultural living. The problem may be that the one wanting to go may resent having to stay at home and the one not wanting to go may feel guilty for keeping the other home. One goes and the other stays. This was the option that Dorothy and William first chose to do, but they could not do so because of the war prohibiting travel. This allows both of them to live where they wish, but it results in separation of the couple for long periods of time. For a relationship to flourish, people must spend time together. Both go. This is what Dorothy and William did with Dorothy feeling forced to go. The problem with this solution is that the one forced to go may continue to balk at every step and may greatly resent the pressure. Both stay and then go. If the problem with going is related to something that will change over time, perhaps a delay in leaving will resolve the problem. For example, if the problem is that one feels responsible for dying parents, the couple may be able to take care of the parents for a few years, then go to another culture. Leave one behind. Sometimes teenagers prefer to remain in their passport country with the family of a friend. For example, they may not want to leave close friends or may want to graduate from their hometown high school. Whatever you do, keep talking, negotiating, and compromising until everyone involved can live with your solution. God does not require you to sacrifice your marriage or your family to serve him in another culture.